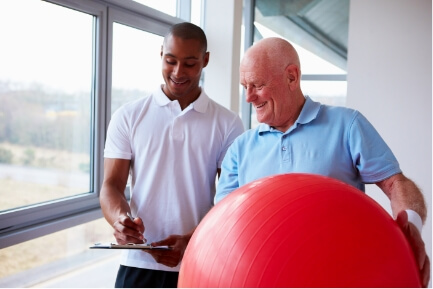 Physical therapy is a vital part of the recovery of a person who has suffered a stroke. A thorough evaluation is done in various stages of the rehabilitation process to determine progression in strength, transfers, walking, balance, range of motion and safety. Our Brooksville, Spring Hill , and Sumter physical therapists approach the care of each person as an individual adapting the best rehabilitative process to each case. A great deal is done to ensure the safety of the person with normal transfers from sit to stand, getting in / out of a car, stairs and uneven terrains. In addition, the strengthening and exercising of muscles provides positive feedback to the nervous system to accelerate adaptation and function. Are you suffer from the results of a stroke? Has your quality of life been impacted? If so, be sure to contact Physical Therapy Services today for a one-on-one consultation and comprehensive assessment. Our skilled and knowledgeable physical therapists can help you manage the symptoms of your neurological condition. Each patient has unique needs, and our therapists will provide you with an individualized treatment plan for success.